During 1966 among many others, two significant events occurred with London Transport. On the 18th April seven Strachan bodied AEC Merlin single-decks introduced the first route of what would become a Central London network of limited stop express services. Route 500 ran from Victoria Station to Marble Arch on Monday to Friday peak hours and during the daytime on through to the West End. 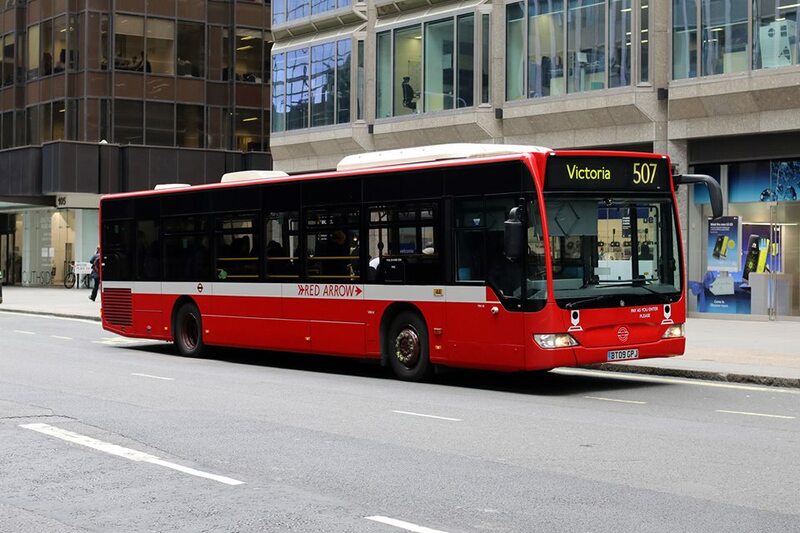 Marketed as the Red Arrow the network grew and developed but today is confined to two routes 507 Victoria and Waterloo Stations and 521 Waterloo and London Bridge Stations currently run with fifty single-decks. In order to celebrate the fiftieth anniversary one of the existing Mercedes-Benz Citaros, MEC 50 has been repainted into a livery reminiscent of that in 1966. During the day in April just past, this bus and a preserved MCW bodied AEC Merlin MBA 444 recreated the first route 500 between Victoria Station and Marble Arch. To record this event images have been kindly provided by David Heath. The following month on the 14th May another special event was organised in order the recognise the fiftieth year since the last RTW-class Leyland PDs operated in revenue-earning service. 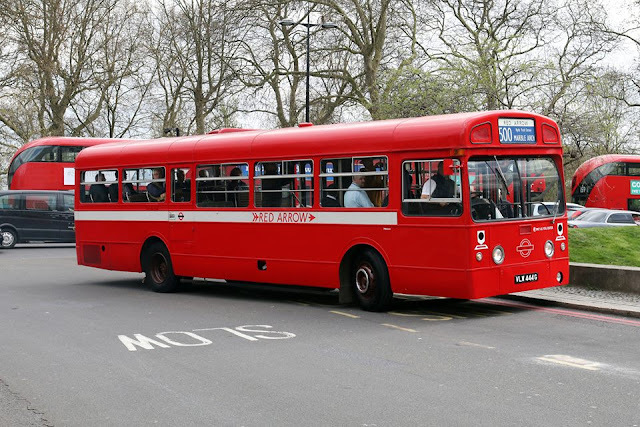 Five hundred of the type were introduced from 1949 with Leyland all-metal 8-foot wide bodywork, being larger than the similar 7'6" RTL version which allowed the gangway to be 4-inches wider and the seats each 1-inch wider. A number of the buses ran in service during the day over the last route operated by the type, the 95 between Tooting Broadway and Cannon Street. They were accompanied by two of the narrow Leyland Titan PD2 RTLs 139 and 1076, along with AEC Regent RT 1702. RTWs 467 and 29 depart the tram shed for run to Central London terminal point at Cannon Street. Access to that point is nowadays rather limited, but with assistance from the Metropolitan Police at least one bus was reversed in the street for commemorative photography. Rather apt really, as it was the same organisation who restricted use of such buses in Central London due to their width, until it was shown otherwise that they could operate without causing any difficulties. RTW 185 is shown here in service bound for Tooting Broadway with the restricted blind display.